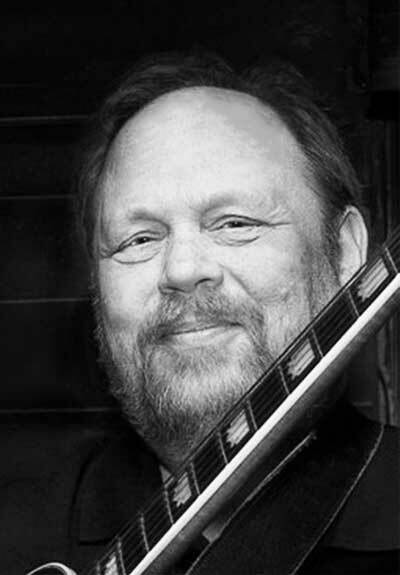 Guitarist Andy Reiss has now been an active member of the Nashville community for more than 35 years. He left his hometown of San Francisco to pursue his passion for music as a career in 1980. He was brought up in a household listening to mainly traditional classical music (he even has an ancestor that was a German composer and guitarist in the 1700s!) He began his formal music education with the piano at age 7, moving to the guitar at 10. Being lucky enough to have grown up in San Francisco during the 1960s, he would forever be influenced by the thriving music scene of the time. Some of the many concerts that were complete eye-opening experiences were B.B. King, Jimi Hendrix, and of course, psychedelic luminaries such as The Grateful Dead and The Jefferson Airplane. This is also when he discovered jazz, and his guitar work became heavily influenced by greats such as Grant Green and Charlie Christian. After arriving in Nashville, he was fortunate enough to have two influential A-Team advocates, the legendary producer and steel guitarist Pete Drake, and the visionary Harold Bradley, the guitarist who, along with his brother Owen, built the first recording studio on Nashville’s Music Row, and served as a long time President of the local Musician’s Union. Andy’s first recording session was for the actor Slim Pickens, a session that was an overwhelming initiation, involving many A-Team pickers such as Drake, Charlie McCoy, Bob Moore, Pete Wade, Pig Robbins and the Jordanaires. He has since become a studio mainstay, playing on hundreds of records, with artists including Miranda Lambert, John Oates, Amy Grant, Willie Nelson, Kenny Rogers and Leon Russell. Returning to his early jazz influences, he also has recorded with many jazz greats, including Pete Christlieb, Beegee Adair, Benny Golson and as a member of the Lori Mechem Quartet. He has also toured many years with both the legendary Slim Whitman and Reba McEntire, and is one of the first Time Jumpers, has been with the group since 1999. Andy has also “given back” to the community with a leadership role in the Nashville Musician’s Association, and as an educator with the Nashville Jazz Workshop and other venues.